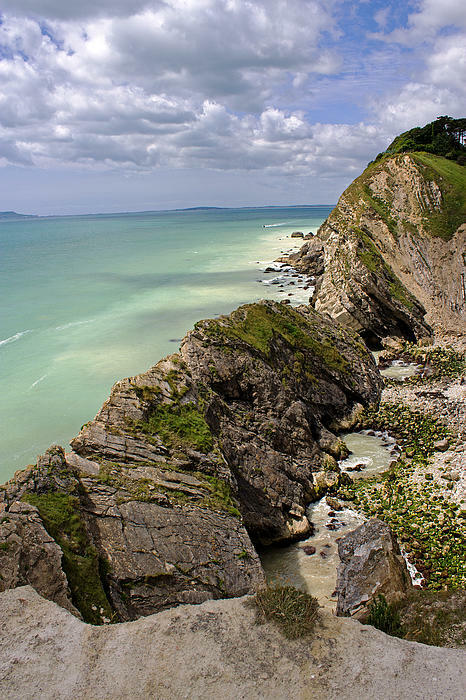 Looking west from Lulworth Cove along the Jurassic Coast in Dorset, England. 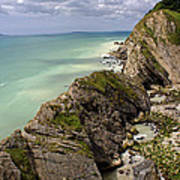 The Dorset and East Devon Coast World Heritage Site is Englands first natural World Heritage Site - it is known as The Jurassic Coast. 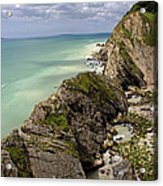 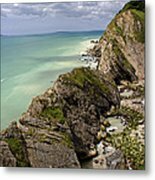 It covers 95 miles of truly stunning coastline from East Devon to Dorset, with rocks recording 185 million years of the Earths history.